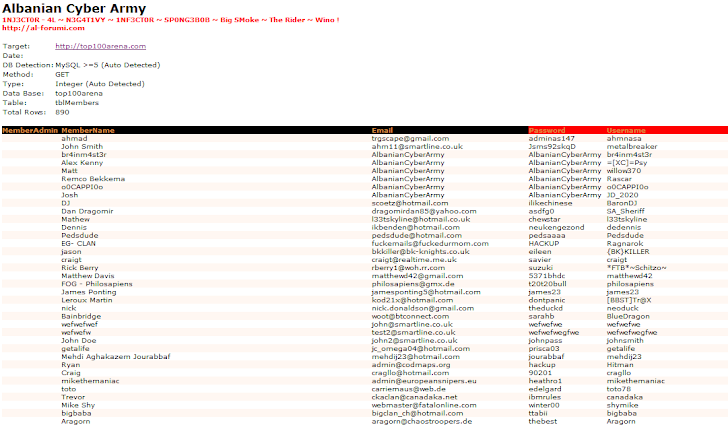 Albania hackers have exploited one of the biggest Game Arena site "Top100" database using SQL injection attack. They leak the database on mediafire. Hackers belongs from group ACA [Albanian Cyber Army].